Was the hotspot even on the same plane? In open air, an ordinary WiFi hotspot can have a range of around a hundred metres. On the ground within most airports, planes are often closer to each other than that. 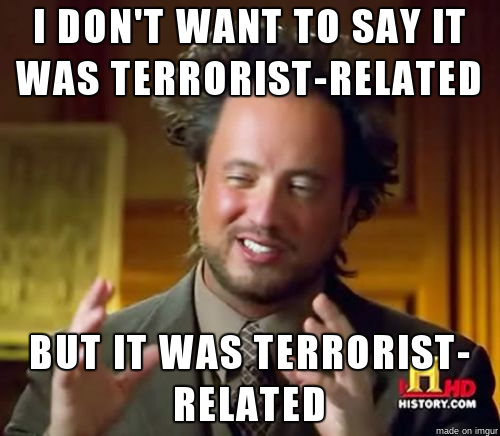 Therefore, a window passenger on a completely different (but nearby) plane could have been the source of the "terroristic" hotspot. No need to postulate long-range directional antennas or high-powered access points for them to have detained the wrong airplane.